He is consistently ranked as one of the top International IPSC shooters in the world today, and has been for the past 10 years. Saul Kirsh show some of his series of shooting lessons. Here Saul teaching the Recoil Control. More shooting lessons. By anyone’s account, Max Michel, Jr. is one of the best shooters in the world. Max Michel has become a dominant force in the pistol shooting sports. 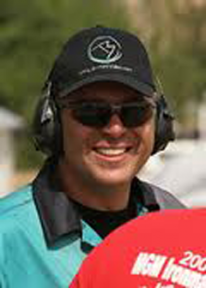 Michel also owns multiple World Speed Shooting records as well as the only Action Shooter to win all USPSA Area Championships in the same season (2010). 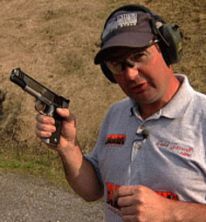 As an international competitor, Michel has represented the United States in the last four International Practical Shooting Confederation (IPSC) World Shoots and returned home each time with team gold medals. He will again represent the nation in Rhodes, Greece at the 2011 World Shoot and anchor the USA ?s Open Division team. Todd Jarrett continues his series of practical and tactical shooting lessons sponsored by Blackhawk. This time Todd's teaching the right technique for going prone. More technique, clik on Todd Jarrett photo. Three Gun Champion and 2003 National IDPA ESP Champion. Bottom line, he is an internationally recognized world class shooter who can make anybody who carries a gun a better shot. Matt does training for military, law enforcement and civilians world wide. He has trained over 7,000 people in 19 countries from Asia to Eastern Europe. He has facilities available in Arizona and Texas or he can travel to wherever the customer would like to conduct the training. Shooting instruction isn’t the only thing he offers either, he has nine instructional DVDs on everything from practice to weapon tuning and techniques. Matt now has started Predator Tactical, a firearms manufacturing, accessories and training company. Blake Miguez and J.J. Racaza shows the history about the 1911 gun. The marksmen had to prove they could do more than just shoot a gun or rifle. Get a more in depth look at this week's weapon, the Colt .45 and a rarely-seen Razorcat Racing Gun!